Girli performing Friday Night Big Screen. 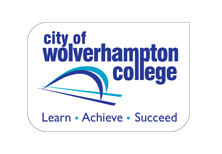 A London born singer has been to Birmingham to perform her debut album and share her message of daring to be different. 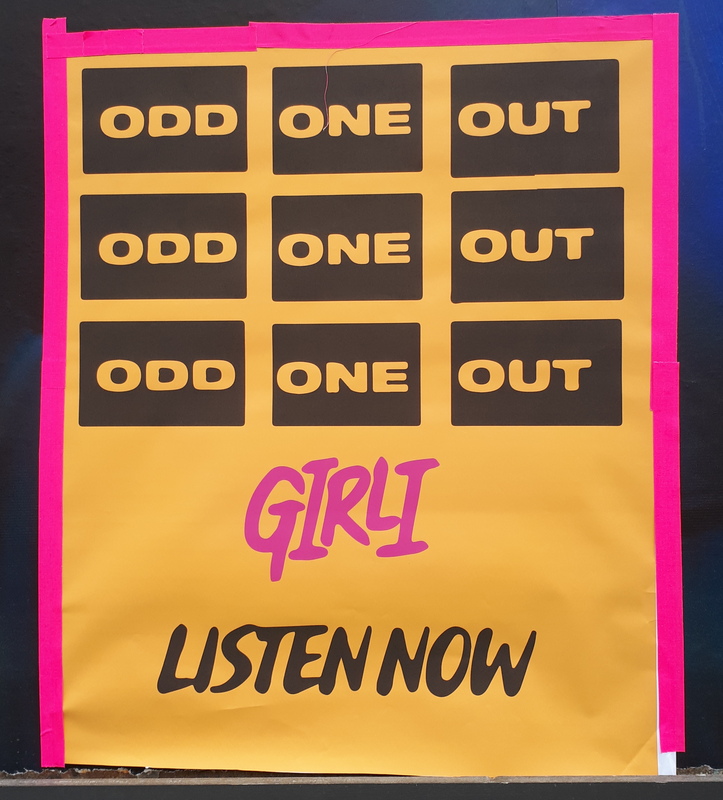 Girli, who’s name is Milly Toomey, performed songs from the recently released Odd One Out at the Castle and Falcon, Moseley Road, to a primarily teenage audience. She took the opportunity to open up about her past relationships and her mental health. The inspiring message to everyone was for them to not change for anyone and embrace whatever makes them unique. Girli said: “A lot of the songs came from a sad place but I turned them into positive, empowering songs. 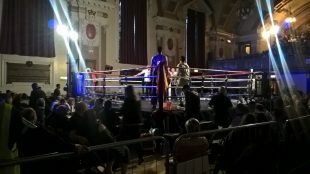 “Up and Down is about mental health but then taking that and going well that’s me and I’m going to learn how to embrace it and love it. Crowd favourites including the be yourself anthem, Deal With It, and the Slits inspired, Hot Mess, were played as the encore to everyone’s delight, but also older material from past EPs including Mr 10pm Bedtime. Wearing mostly pink, Girli made the songs come alive with her punk attitude and high energised performance with her onstage dancing and her half-rapped vocal delivery. The gig on April 6 also had its quieter moments such as the power pop ballad Friday Night Big Screen where Girli sat on a red chair and gave a passionate performance, she joked ‘I feel like Madonna’. Her album came on April 4, the day before she kicked off her UK tour and fans were already singing the news songs with Girli. From her last show in Leicestershire, Girli was happy and surprised by her fans’ dedication on learning all the new songs lyrics so soon after the album was released. “People are loving it,” she said. “Playing it live is so fun. 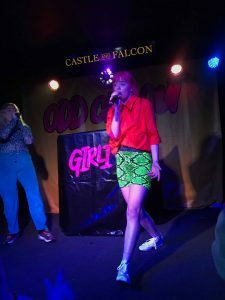 Girli performing at the Castle and Falcon, Birmingham. At the end of the gig, one audience member said: “The gig was incredible. “An easy going atmosphere pierced with headbanging moments. 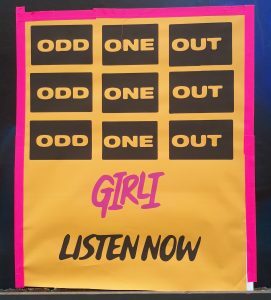 Supporting Girli were the Birmingham based pop band Lilleburn and hip hop artist Tayla. The US singer/rapper Ashnikko also supported the tour performing her new track Invitation about sexual harassment. The UK tour continues until the end of April and Girli will perform in her home city of London at the All Points East festival on May 31.